From navigating the crowds to being monkey-savvy, there are few tricks to getting the best out of a trip to Bali. We're rounded up 15 top tips to bank for your next visit to the Island of the Gods. One of the most touristed islands on earth, Bali sn’t exactly an untouched paradise. But while it can be difficult to escape the throngs of South Bali and Ubud, determined solitude seekers will be pleased to find loads of secluded corners beyond these primary tourist centres. Tip: head to the central mountains, or Bali’s more chilled-out north and west coasts. It pays to put some thought into your Bali base, as chaotic traffic and hot weather are likely to make you stick close to your hotel or guesthouse rather than wander far on foot or sit in stuffy taxis. If you’re looking for real R&R, Kuta probably isn’t your thing. If you want to shop up a storm and eat more than your body weight in fine food, a week on Nusa Lembongan isn't likely to leave you fully satiated. 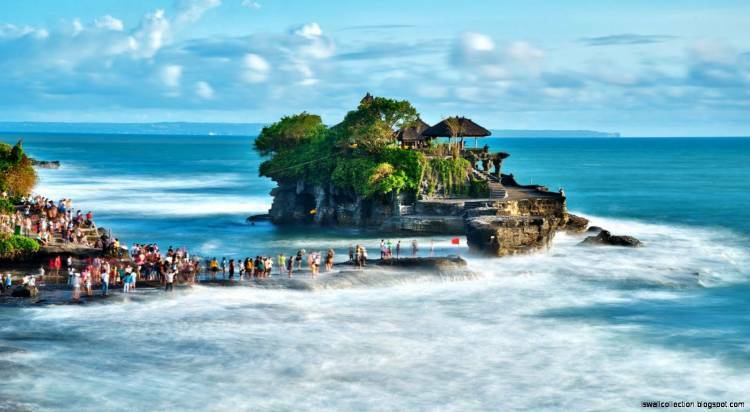 Find your perfect spot with the help of Lonely Planet's "first time bali" guide. Give wild and stray animals a wide berth. They may look cute, but rabies and other diseases are serious risks in Bali and monkeys are notorious for their thieving ways. Bali’s stray dogs are numerous, and often in pretty bad shape. If you’re keen to make a difference, consider making a ‘doggy donation’ to Bali Dog Refuge which helps to rescue and rehabilitate the island’s stray pups. In early 2015, Indonesia waived its standard 30-day tourist visa-on-arrival (VOA) system for 45 countries; visitors from most other nations (including Australians) must purchase the VOA. While extending a 30-day visa is possible, it can be a tricky business. Speak to a reputable visa agent on the ground, or contact your nearest Indonesian consulate prior to departure. At the time of publication, 60-day visas could be arranged in advance, but not in-country. This article was originally published in July 2009, and updated in August 2012 and July 2015.